With musician lockouts at the Minnesota Orchestra and the St. Paul Chamber Orchestra entering their fourth month, many observers are wondering how they will be resolved. Several theories are circulating about what some are calling the end game. At the recent concerts by the locked-out musicians of the Minnesota Orchestra, the performers recieved a rapturous welcome from the standing-room-only audience. Emotions ran high at the concert, not just at the music but also as violist Sam Bergman spoke to the crowd about the musicians' contract dispute with management, which led to the lockout. He said a century-long legacy of musical excellence was at stake. "We know that many of you here today care every bit as much as we do," Bergman said. "So today, we pledge to you that we will continue to fight for it, and we will continue to sacrifice for it, for one day longer than our management continue to insist their destructive path is the way to move forward." Bergman's last words were drowned out by a wave of applause from the audience. The locked-out musicians of the SPCO received similar ovations at their concerts Thursday and Friday. Many patrons, like Emily Hogstad, were left wondering how it will all play out. "I have no idea yet," she said. "I think it is way too early for anybody to know, as crazy as that sounds because it's been going on for a while." Hogstad writes The Song of the Lark, a detailed and deeply researched blog that has explored the intricacies of the Minnesota Orchestra dispute. She supports the musicians' cause and is frustrated by the lack of progress. "I think if there are changes, they are happening behind the scenes," Hogstad said, "and we have to do all we can to pressure those who we disagree with to maybe come around to our point of view." 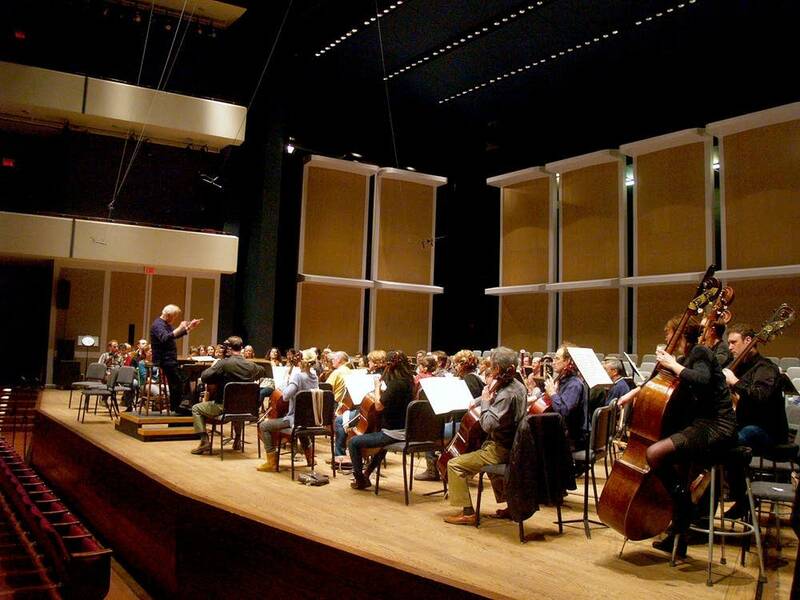 The orchestral disputes in the Twin Cities are complicated and unusual. Few communities of this size have one, let alone two, internationally regarded orchestras. It is a quirk of fate that the contracts of both the Minnesota Orchestra and the SPCO came up at the same time. It's another quirk that it happened just as both organizations experienced the full impact of the recession and other forces bearing down on orchestras nationally. Both recently reported deficits: $900,000 for the SPCO and $6 million for the Minnesota Orchestra. Management at both organizations have offered contracts that cut salaries by tens of thousands of dollars, reduce the size of the orchestras and make extensive changes to work conditions. Both sets of musicians rejected those offers. All sides in both disputes say they are fighting for the long-term futures of their organizations. All sides have dug in for the long haul. The battles are over both economics and artistry. On the financial side, the recession was a turning point. "The business model that they have been using up until now, while it had been successful, it no longer is. And that's just the reality," said Art Rolnick, a senior fellow at the Humphrey School of Public Affairs at the University of Minnesota. He said the three main sources of income for orchestras -- ticket sales, philanthropy and endowment revenue -- have all been hurt by the recession. Both orchestras have cut costs and laid off administrative staff recently. The musicians' contract remains the largest expense. Rolnick said it's clear the orchestras cannot afford the wages they have paid in the past. "How they resolve it is difficult," he said. "Because it is very difficult to take something away once you give it. The salaries look like they are somewhat out of line competetively; how much out of line is maybe debatable. But they are going to have no choice. If they want to exist, they have to come up with a sustainable economic model." The musicians say drastic pay cuts will lead to players leaving, which will undermine artistic excellence. It's that loss of quality that will undermine the future of the orchestras, said former Minnesota Orchestra music director Edo de Waart. "It can be destroyed in two seasons," de Waart said. "That is the tricky part of it. It's like a beautiful garden that might take a hundred years to grow, and one bad fire or whatever and it's gone." Both de Waart and Rolnick worry that the longer the disputes continue, the harder they will be to resolve. De Waart said it may be time for outside help. "When it seems that it is immovable, bring someone in who can talk to both sides, but not just about the dollars," he said. "Not someone who is going to say, 'If you give 20 cents then...' but saying, 'What is this all about? Why is this happening?'" Federal mediators are involved in both disputes, but de Waart argued that it will take someone with great experience and understanding of the arts to bring the sides together to really talk, specifically regarding the Minnesota Orchestra. "Both sides, especially the board, needs to be willing to have some criticism leveled at them," de Waart said. All sides say they want to talk. Last week the Minnesota Orchestra board offered two dates for negotiations without any preconditions. In St. Paul, interim SPCO President Dobson West said lawyers are looking for dates that management can meet with musicians. "We continue to believe that we will find a solution that everyone can live with that will make us artistically vibrant and financially sustainable," West said. However, West said, that may take time, and it's more important to reach a deal done right rather than quickly. SPCO musician negotiator Carol Mason Smith is also keen to get it right. She said she believes the dispute may be less about money and more about making artistic decisions for the future. "There is a sense that the management is really trying to control everything, including artistic issues, for which they really don't have the expertise or the background," she said. In Minneapolis, Minnesota Orchestra President Michael Henson agreed that the issues will take time to resolve. Musicians have not made a counteroffer to a contract proposal first put on the table in April. When asked directly if his negotiating team might make a new offer to break the logjam, he said: "We'll continue to evaluate the most appropriate solutions to find a resolution to this." However, he returned time and again to the board's belief that the orchestra needs to reduce its annual budget to $26 million in order to survive. Musician negotiator Tony Ross, who has played with the orchestra for almost a quarter century, said it's hard for him to believe that a community that has supported the orchestra for so long is willing to let it slip away. "I don't know what the end game is," he said. "I play the cello, and I want to play in a great orchestra. I'm hoping the end game is that we decide we have to have a major league symphony in Minneapolis." One point of contention in Minneapolis has been how the orchestra is spending $50 million to renovate Orchestra Hall and build a new lobby even as it tries to cut musicians' salaries. However, with the dispute dragging on, the prospect of reopening the hall in mid-July without an orchestra could increase the pressure to reach a deal. Even after talks resume, it's unlikely to be a simple process. It may take weeks as the negotiators work out the details. No one doubts that deals will be reached, but their form will shape the orchestras for years to come. There is also the question of the lingering effects of what have already been two tough labor battles.